The start of a fresh week can be a happy occasion for European Nintendo gamers, as it means Nintendo Download Update news. While it doesn't always provide thrills and spills, this week's selection certainly has some tempting options, including a new title on Wii U, some retro classics and a whole load of discounts. There's plenty to cover, so let's get to it. 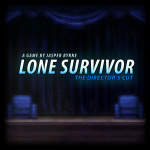 Lone Survivor: The Director's Cut (Curve Studios, €11.99 / £9.99) — A critically acclaimed horror experience from Jasper Byrne that's been extensively ported by Curve Studios, the "ultimate version" now arrives on Wii U. 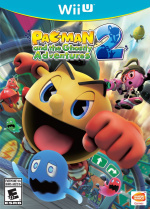 With a unique art style, this game's outcome is largely determined by your own approach: stealth or combat, rescue others or go alone, sanity or madness. This could be another terrific experience on the eShop, and we'll let you know what we think soon. Donkey Kong Country (Nintendo, €7.99 / £5.49) — One of the all-time classic platformers, this title from Rare made stars of DK, Diddy Kong and Cranky Kong, while using graphical technology that was mind-blowing in the 16-bit era. We loved this in our Wii Virtual Console Donkey Kong Country review, but will happily monkey around with it once again. Hyrule Warriors Master Quest Pack (Nintendo, €6.99 / £6.29) — This DLC pack contains the following. 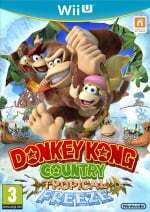 Donkey Kong Country: Tropical Freeze (Nintendo, €33.49 / £26.79, normally €49.99 / £39.99) — To take advantage of this offer you must buy a classic Donkey Kong game from the eShop on the same Wii U. This includes Donkey Kong Country on 16th October, Donkey Kong Country 2: Diddy Kong's Quest on 23rd October and Donkey Kong Country 3: Dixie Kong's Double Trouble on 30th October. Donkey Kong Land (Nintendo, €3.99 / £3.59) — The DK theme continues as this Game Boy platformer makes its Virtual Console début; this title was also developed by Rare and followed the arrival of Donkey Kong Country, incorporating the same basic principles onto the humble 8-bit handheld. We'll swing into this one for a review later in the week. Adventures of Lolo (Nintendo, €4.99 / £3.49) — The classic tale of Princess is kidnapped, blue blob must save Princess. So far, so typical NES, though despite ageing in some respects it throws up some fun puzzles and challenges. You can check out our Adventures of Lolo review for the full lowdown. Spinner Mario (Nintendo, €1.99 / £1.79) — This Super Mario theme has folders accented with Super Stars. Scroll the Touch Screen to see Mario spin! Background music: Super Mario Galaxy "Super Mario 2007"
Spinner Bowser (Nintendo, €1.99 / £1.79) — This Super Mario theme has folders accented with Bullet Bills. Scroll the Touch Screen to see Bowser spin! Background music: Super Mario Galaxy "Super Mario 2007"
Spinner Peach (Nintendo, €1.99 / £1.79) — This Super Mario theme has folders accented with mushrooms. Scroll the Touch Screen to see Peach spin! Background music: Super Mario Galaxy "Super Mario 2007"
Spinner Rosalina (Nintendo, €1.99 / £1.79) — This Super Mario theme has folders accented with Super Stars. Scroll the Touch Screen to see Rosalina spin! Background music: Super Mario Galaxy "Super Mario 2007"
Donkey Kong Country Returns 3D (Nintendo, €26.79 / £23.44, normally €39.99 / £34.99) — To take advantage of this offer you must buy a classic Donkey Kong game from the eShop on the same 3DS. This includes Donkey Kong Land on 16th October, Donkey Kong Land 2 on 23rd October and Donkey Kong Land 3 on 30th October. Plenty to choose from this week, European gamers. Let us know what you plan to download in the poll and comments below. I want all the Donkey Kong games! This is awesome. Anyone who doesn't have tropical freeze yet should face criminal charges, it's such a great game. I'm definitely getting hyrule warriors dlc as I preordered it - whoa this game is big - and I think I'll get both squids odyssey and steamworld dig on this discount. On the other hand, I hardly have the time to play it all... dilemmas! Goddamit Nintendo....this is already going to be an expensive enough month for me already with the day one first print edition of Bayonetta 2, now you go and suddenly bring all the Donkey Kong Country games back to VC and Donkey Kong Land to the 3DS as well . Luckily, I've already downloaded all 3 DKC games on Wii VC, so I can upgrade them fairly cheap if I want. Nice to see some Hyrule Warriors DLC make an appearance too, as I've already paid for the season pass. Shin Megami Tensei IV, where are yoooouuuuuu? Will buy the DK Country Trilogy at a later date. Always wanted to play those classics! Donkey Kong Country on my birthday! With number 2 next week! I'm so unbelievably happy that the DKC games are getting re-released, since I only manged to download the first one before they were taken off the Wii virtual console! Also, am looking forward to that Hyrule Warriors DLC. @Kyoto : Yes and also Shovel Knight is still stucked at Certification step !!!! Ahh! Donkey Kong Country. Finally! Nothing for me this week, but I can't complain about the amount of releases this week. Looking good! The certification process takes about 3-4 weeks and it's been about 3 weeks now. I think the game will be released before the end of the month. I have a feeling DKC 1-3 are going to be 50Hz. It is isn't a problem from a game speed front as they run as fast as their 60Hz versions. The problem is the Wii U and the Gamepad only output in 60Hz, they do this by duplicating every 5th frame; resulting in scrolling being noticeably jerky. I kind of want DKC TF but the purchase of a crap 50-Hz version of DKC kind of puts me off (and also largely offsets the saving). Whilst I won't be buying anything this week, I would recommend Lone Survivor to people. I have it on Steam, and it's pretty neat. Also, if you have the spare cash, Gravity Badgers is a nice fun distraction. Not a complex puzzle game, but you can't go wrong for the price. 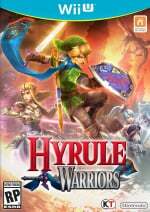 Hyrule Warriors's DLC,my first paid DLC. OMG DKC! And Steam World discount! My Nintendo long list: tvii uk, n64 games vc, new star wars rebel game as mentioned earlier this week, monster hunter 4 wii u. Dragon quest X wii u, sega dreamcast vc, Ok that will do for now! That Lone Survivor looks interesting. I'm totally brassic this month, but would have had Squids for Wii U – that's a good price. Might get squids odyssey but wondering is it still cross buy? 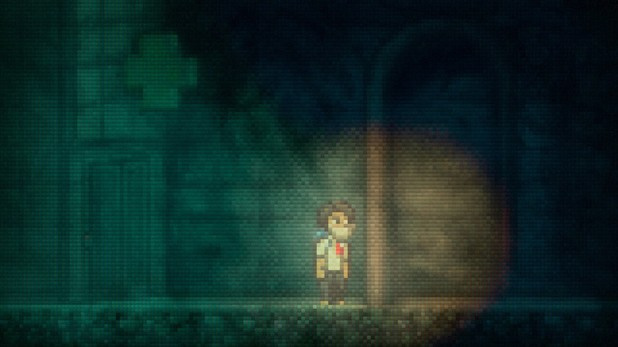 Lone Survivor is an awesome game but its not for everyone. Dont buy it if you want a shooty combat game as this is pure survival horror, survival horror done well. So how much will the two new Retro DKCs cost in Australia? I bought Tropical Freeze around 2 weeks ago for $60, really happy with it. Will get all the DKC VC games myself, already bought the Snes ones on Wii U so they should be cheap too which is good. Ty for the heads up on Cave Story btw MeWario. Great week! Already paid for the hyrule DLC. Will get donkey Kong country, but what's the difference between this version and the gameboy version? Aw yes! Never got the DKC trilogy on Wii. Will be downloading DKC and DK Land this week. Also Steamworld Dig discount, a cool looking indie game (Lone Survivor) and Hyrule Warriors DLC! Already pre-ordered the HW DLC. ... it's not like I already have enough to play in Hyrule Warriors, but the first DLC pack comes already? Ehm. Gotta pick up the pace and clear more of the base game's Adventure mode map. Getting all the DKC games for Wii U. I already have them as SNES cartridges, GBA versions, GBC of DKC1 and Wii Shop downloads. I have the DKL too and I've played the other 2 in the series but I guess I'll buy those too. Such great Rare games. DKC!!!! I never got to experience these amazing games! Oh I forgot, getting that DKTF discount and will get rid of my physical copy! Another great themed set of discounts for both eShops. I spent so much time playing DKL 2 & 3, may need to splash out for those! LOL yeah. I think my budget for Sonic Boom U (if it'll get at least an 8 from Thomas) will go to DKTF promo (so I can get rid of my Physical disc), DKC 1, 2, & 3 and Steamworld Dig U. Who knows they'll bring CV Rondo of Blood, the 3 GBA Castlevanias on Halloween. And maybe Megaman 7 and X3 along the way! Nothing for me. Nintendo, quit with the constant Trine 2 temporary discounts and just permanently reduce it! Wait what ?!? O.o They renewed the DK license ? Thats fantastic ! @Kyoto I think shin megaten 4 was quoted as "end of the month" so presumably itll be out in two weeks.thats if ive remembered the quote correctly. . I was hoping for some of the Castlevania games that US recieved, so I'm a bit disappointed. Awesome that we get Donkey Kong Country, though. @ledreppe It's the indie developers who set the prices on their games, not Nintendo. Tons to buy! But definitely DKC first & foremost then maybe some of the 3DS discounts & definitely going to get DKL too. Whoa, Donkey Kong Country? On the Wii U VC? That's fantastic! Save states will make that version much more playable. So, 3 days before my birthday I get my first ever SNES game on WiiU VC, and in the later weeks the complete trilogy of what became my favorite series? I love you too, Nintendo. Donkey kong and the lone survivor for me this week. Those Donkey Kong games better be coming to America! 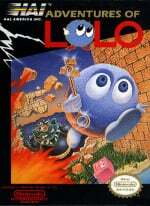 Is Adventures of Lolo on 3DS the Game Boy version? I'd download that if it ever came to NA. I have the Japanese version, but I hear the EU version was better, though both are pretty rare. Did lone survivor even ever come out int he US yet??? Lone Survivor seems interesting, I shall await some reviews before purchasing. Oh! I'm so happy about the return of the Donkey Kong Country trilogy!!! Buying DKC again, even though I already own all three through the Wii channel. They're just that good. @Grumblevolcano thanks I have already purchased the dlc, so looking forward to it. For the topic at hand, I will be getting pretty much anything rare releases on the wii u VC, so will definitly pick these up. Do think it is odd that we still have zero news for n64 titles. Hopefully support will be a holiday surprise this year. Is Donkey Kong Country on Wii U going to be 50hz junk or the US 60hz correct version ? I'm expecting it to be 50hz. Will be downloading anyway. Wow. The second I did'nt believe it anymore. Donkey Kong Country. INSTANT BUY ! The THREE of them !! Even in NA where 4 eShop indies are out, I have zero interest in any of them. I've already played the rather obnoxious Ballpoint Universe, done with stiff platformers (coughPaperMonsterscough) and there is no way that Byrne has added near enough content to justify paying 15$ for Lone Survivor. People that liked junk like SlenderMan will probably enjoy it for 10 minutes, but it's just so high and mighty. It tries to be this wonderfully challenging, existential experience when really, it's no deeper than Ping. A neat idea, it just doesn't pull it off. I'm starting to wonder if this will be the discount period Frozenbyte finally reveals Trine Redux's release date. Apparently, they're making during a sale on Trine 2 and want to release it in November. Now would be a good time. As far as I know, nothing is currently planned for November 4, 6 / 7th on Wii U, so having Trine drop then would be smart. Knowing indie devs, Tengami or Pier Solar HD would come out the same day and force me to choose..
i got lone survivor a long time ago and still don't know how to play it and it is very loud. i really like corpse party much better. even the anime was scary. woo hoo for spooky halloween games! As someone else already asked, is Squid Odissey still crossbuy? And what's this Survivor Heroes....£27? Never heard of it. Well done Nintendo! Some great VC coming up. I might hold back though because money is tight and surely Shovel Knight is just round the corner for us Europeans. Hope more people try Squids Odyssey, SteamWorld Dig, and TNT Racers now that they're on sale. I'll be getting DKCTF and Lone Survivor. Hope Squids Odyssey is good on 3DS. Gonna buy it. @llamareborn @andrea987 Squids Odyssey is still crossbuy on 3DS - in Europe - according to the developer's twitter feed. Going to be picking it up during this sale myself.